Trevor and Jake are joined this week by Steamboat Amplifiers’ Juan Magana in order to discuss the history of a legend within the guitar world, that is Electro Harmonix. The guys cover everything from Mike Mathews’ start to him losing the company, how he earned that company back and adapted after losing Electro Harmonix yet again! No one has paid more dues than Mike, and this is Guitarcaster’s tribute to the man that’s larger than life. This episode marks our first giveaway! 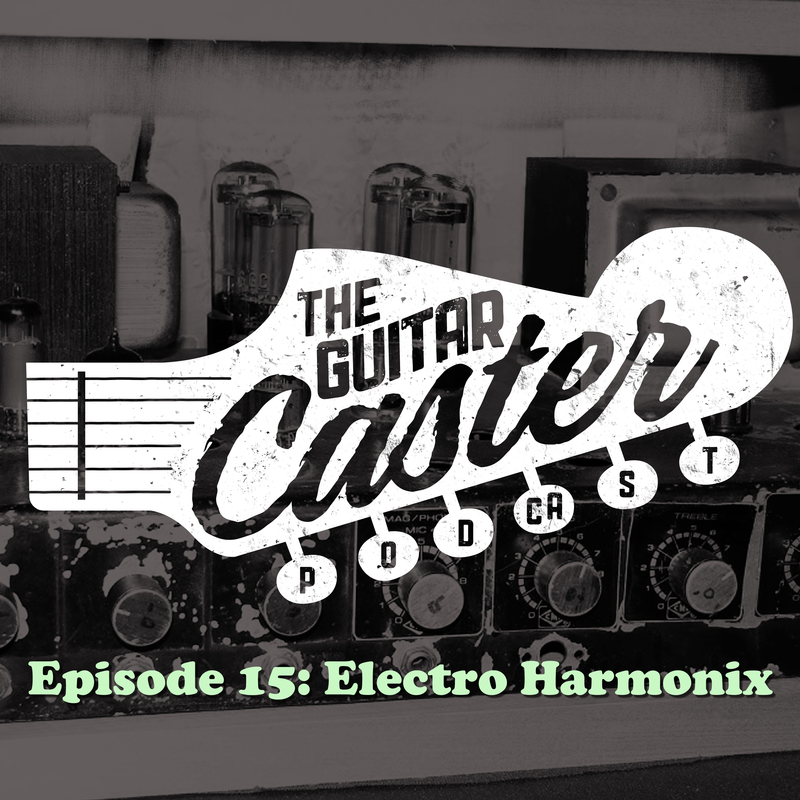 Anyone from the lower 48 can email us this episode’s password at guitarcasterpodcast@gmail.com to enter the drawing for an Electro Harmonix Octave Multiplexer. Groening, M. (Creator). (1992). The Simpsons [Video file]. United States: Fox. Rae, K. (2011, April). THE BIG MUFF π – A HISTORY OF ALL VERSIONS. Strauss, K. (2014, March 7). Rock And Roll, Russian Gangsters And Rising From The Dead: The Saga Of Electro-Harmonix.